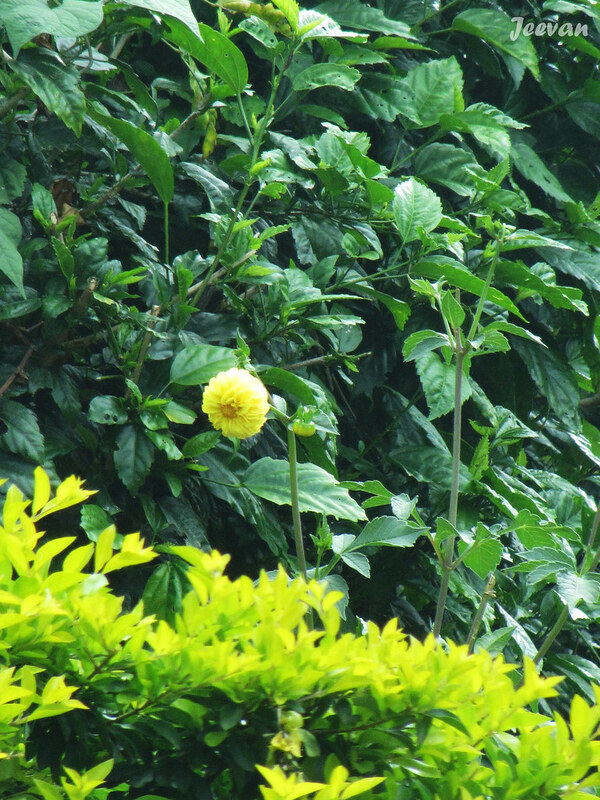 A yellow Dahlia bloomed near my uncle’s woodhouse in Thandkudi and the way it rose up from a long stem reminds me the standing mike in stage play. Dahlia is a genus of bushy, tuberous, herbaceous perennial plants native to Mexico and it is related to species includes the sunflower, daisy, chrysanthemum, and zinnia. The flower forms are variable, with one head per stem; these can be as small as 5 cm diameter or up to 30 cm. The dahlia was declared the national flower of Mexico in 1963. Dahlias grow here in or area but we have to dig them up as they don't winter over the snow and ice. The ground will freeze and kill their roots. It is a pretty flower. I wondered what in the world you meant by Yellow Mike...then you explained and I see it perfectly. Yes, it looks like a mike....beautiful! Hello, the dahlia is beautiful. Lovely bloom! Enjoy your day and weekend! 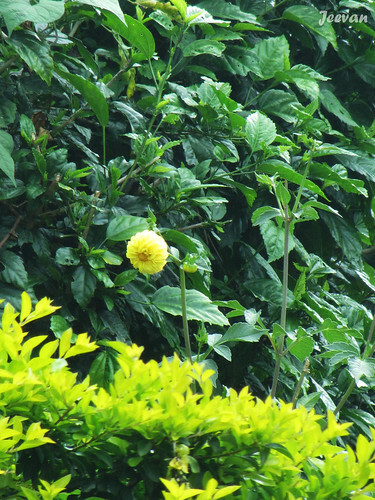 This yellow dahlia just wants to show off its beauty. I love yellow, so bright and beautiful! This is a beautiful dahlia.